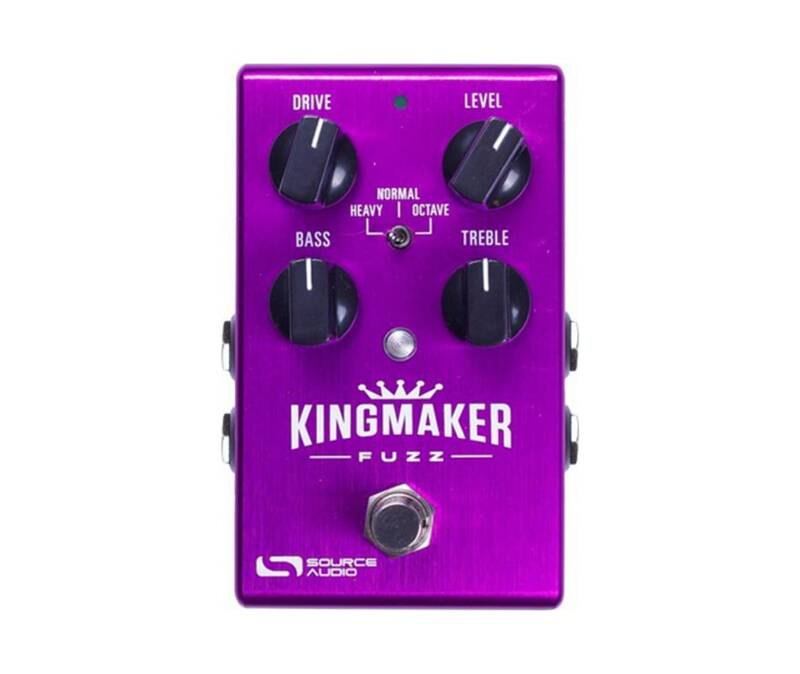 The Kingmaker's Heavy mode pumps out a highly saturated fuzz for violin-like lead tones with unending sustain as well as thick and pummeling rhythm tones. Normal mode provides a responsive fuzz that cleans up nicely with reduced input signal but intensifies dramatically as the input increases. The Octave circuit unleashes a screaming, octave fuzz in the style of vintage Octavio pedals. Out of the box, the Kingmaker Fuzz offers tremendous tonal range, but dig a little deeper and discover its hidden powerful and flexibility. Every pedal in the One Series line is compatible with the Neuro Mobile App (a free download for iOS or Android). Link the Kingmaker to the Neuro App and access its extended equalization capabilities as well as Source Audio's library of bonus overdrive, fuzz, and distortion algorithms each algorithm can be downloaded directly to the pedal. Plus, every One Series pedal is fully MIDI compatible when coupled with the Nuero Hub (formerly Soundblox Hub), delivering the power to save up to 128 different presets.